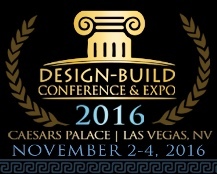 Fewer conferences will offer you the experience you can expect to receive at DBIA’s 2016 Design-Build Conference & Expo. I say this because design-build is not only experiencing unprecedented levels of utilization by public owners, but the educational content featured at this year’s conference present an engaging way to continue your education as a design-build professional. Need we also mention the opportunity that a city like Las Vegas presents to network and reconnect with colleagues? Consistently our most popular conference location over the years, this year’s Design-Build Conference & Expo in Las Vegas will not disappoint. If you are as tired of hearing the same “grandstand” election speeches as we are then we have the event for you. Former DBIA National Chair, Jim Whitaker, AIA, DBIA of HKS, Inc. will be hosting a panel of design and construction industry leaders to get into the practicalities, trends and challenges they experience in the profession. With so many pundits and opinions in this truly historic election season, find out what this election means to the design and construction industry. You can expect to hear insight from chairs and senior level staff from Associated Builders and Contractors, American Institute of Architects, Building Owners and Managers Association, Canadian Design-Build Institute, Associated General Contractors, National Society of Professional Engineers, and DBIA! 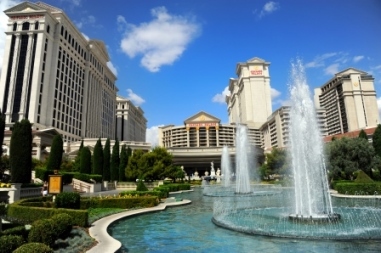 Caesars Palace will serve as our host hotel and headquarters for the week of events. On top of that, the week kicks off with a golf tournament hosted by DBIA’s Nevada Chapter at the Revere Golf Club on Tuesday November 1. In the heart of the Las Vegas’ Casino scene, this conference will be full of opportunities to network and connect with colleagues whether it’s over a game table or a hosted event by one of our member firms. And in the true spirit of Vegas, our Awards Dinner will supplement award winning design-build projects with a performance by illusionist Craig Karges. While we have been preparing for this conference DBIA staff and committee members have diligently worked to prepare a great portfolio of new documents that will be available for the first time. Recently approved by the Board of Directors, we are excited to announce the roll-out of our Model RFQ/RFP Form Documents. These documents, based on industry best practices, were created to serve as a starting point for owners in developing the criteria for design-build project bids. 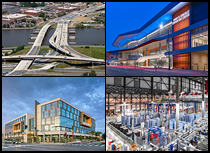 In addition our Public-Private-Partnership (P3) Committee has hit the ground running in its first year of operation ad has developed a P3 Primer. This primer highlights the key considerations that should serve as a foundation for any P3 project. And of course Progressive Design-Build (PDB) is on everyone’s mind. Join industry leaders as they release DBIA’s Progressive Design-Build Primer. A panel including a legal expert, general contractor and owner will talk candidly about the increasingly common delivery method. In a follow-on session, experts from the water/wastewater sector will discuss a new Standard Form of Contract for Progressive Design-Build co-produced by DBIA and the Water Design-Build Council. Who doesn’t want to hear Joe Theismann speak at the height of football season? As the conference’s headliner, Theismann will deliver our opening keynote in a presentation that will draw parallels between his success in football and in business. Lee Smither of FMI Corporation will deliver a general session on the market trends and forecasts for the industry in the next two to five years. FMI is an industry leader in management consulting, investment banking and professional development dedicated specifically to the engineering and construction industry. The conference will wrap up with a closing general session by Molly Fletcher who has been nicknamed “the female Jerry Maguire” by CNN. Working with some of the biggest names in sports, negotiating over 500 million dollars in contracts, Fletcher’s insight and unconventional techniques will prove valuable to all who participate in the business world. No matter what your angle, this trip to Las Vegas in early November will be well worth your stay. Continue your design-build education in style and stay at the forefront of the fast growing design-build industry. While you may register up until the day of the event, be sure that you do not miss out, and register today. To find out more on the conference and the events throughout the week visit our website by clicking here!